The Instiz chart combines the overwhelming variety of charts that South Korea uses to rank music sales, and it’s what fans use to determine whether their favorite artist has achieved an “All-Kill”. Check out the chart rankings for the 3rd week of July below! 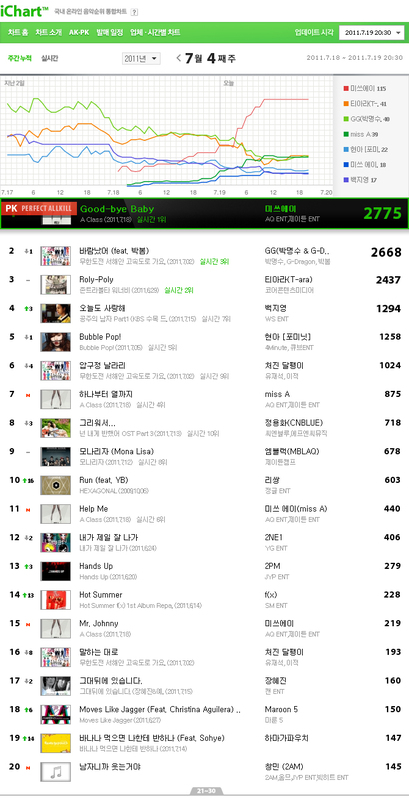 [Info] miss A’s ‘Good-bye Baby’ got a Perfect All-Kill on Instiz in less than 2 days! PS: For your information, the Instiz chart utilize a points system that combines the overwhelming variety of charts that South Korea uses to rank music sales. It works more as a weekly chart and the songs keep getting more points as hours and days go. K-pop fans often use it to determine whether their artist has achieved an “All-Kill” (AK) by ranking #1 on all major music sites (melon, bugs, mnet…), or a “Perfect All-Kill” (PAK) by being #1 on instiz aggregate chart while keeping the #1 on all major music sites. So far only 7 songs achieved a PAK in 2011. 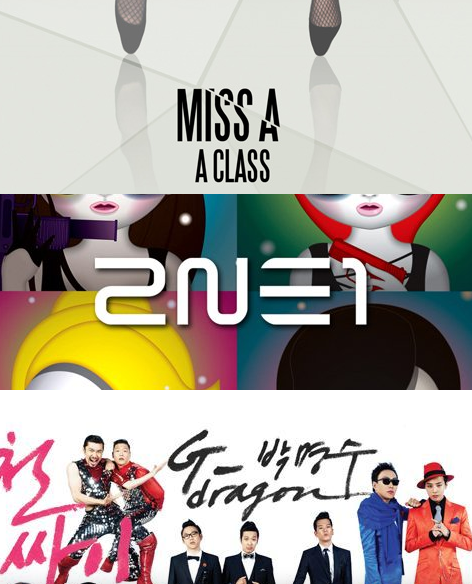 They are ‘Kim Bum Soo’s ‘Please’, Park Bom’s ‘Don’t Cry’, 2NE1’s ‘Lonely’, Kim Yeon Woo’s ‘If You’re Like Me’, 2NE1’s ‘I Am The Best’, GG’s ‘I’m Having An Affair’, and now our miss A’s ‘Good-bye Baby’!